Reminders can be sent if there is a necessity to remind a user about any kind of things that need to be done or any other urgent events. The reminders are sent a few days before/after the due date of such events. For example, the “My Tasks” reminder has to be sent to the user whom the task is assigned two days before the task due date. When a reminder is created, the reminder metadata is converted to the pair of a time-dependent trigger and an email alert action. It means that the trigger with the email alert action is added to a database automatically and vice versa the trigger with a sole email alert action that is not reused elsewhere is viewed and edited as the reminder – on a single screen; but these trigger and action are also listed under workflow triggers and actions to allow fine-tuning. From the setup menu select E-mail Notifications > Configure e-mail reminders. The system will display the Reminders form. If you want to edit the existing reminder, click the Edit button next to the necessary reminder entry. You can also copy the existing reminders or delete them clicking the corresponding buttons on the form. Moreover, you can also enable or disable sending the reminders in the common list displayed on the form: select the checkbox next to a necessary record and click the Enable or Disable button. Use the Action check box for multiple selections. To create a new reminder, click the New button at the top of the form. As a result, the New Reminder form will be displayed. In the Name field enter the name of the new reminder. In the From field specify from whom the e-mail should be sent. The notification will be sent from the notify@teamdesk.net email address. A database owner name and e-mail will be indicated in the From field of the notification. Your user name and e-mail will be indicated in the From field of the notification. 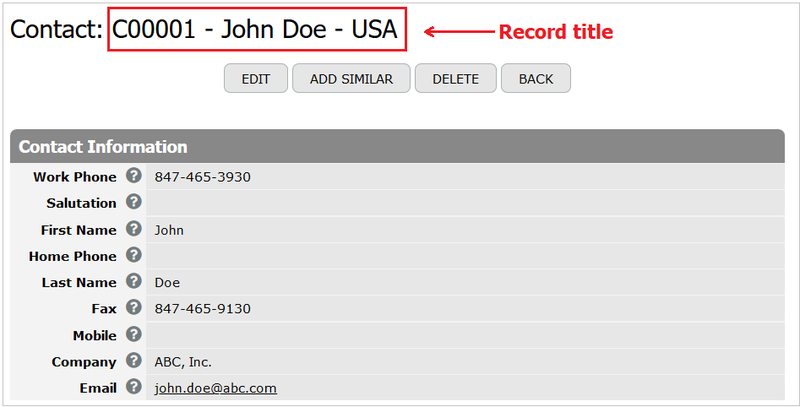 You can specify a user whose e-mail and name will be indicated in the From field. If there are columns of the E-mail type or User type in a table, you can specify the column name. As a result, the column value will be displayed in the From field of the notification. You can type-in a specific e-mail address and this e-mail address will be displayed in the From field. In the To field select options defining to whom the notification should be sent. You can specify one or many options described below. The notification will be sent to all users who have the access to the database. The notification will be sent to your user e-mail. You entered this e-mail, when registered as a database user. You can specify a user whom the notification will be sent. You can choose a role and the notification will be sent to the users whom this role is assigned. If there are columns of the E-mail type or User type in the table, you can specify the column name. As a result, the notification will be sent to the e-mail value kept in this column. You can type-in a specific e-mail address and the notification will be sent to it. If it is necessary, in the Cc and Bcc fields you can define to whom a copy of the notification should be sent. In the Subject field enter the subject of the new reminder. In the Body field enter the basic information of the reminder. Note that the body of the reminder may contain placeholders (for example, the name of the action: modifying/adding/deleting table records). To configure the body of the reminder, use the % sign to choose and insert the placeholders you need. Also you can click [ to list all columns of a table and insert column variables you need. Moreover, you can type first letters of the column name after the [ sign and the columns starting with these letters will be displayed in the dropdown. When the [ symbol is entered, the columns comprised in the Table are listed in the dropdown. If the current column value should be inserted into the reminder body, just select the column name from the dropdown. Access rights for the placeholders/columns in the reminder body are determined by access rights of the user specified in the To field. In case of arbitrary e-mail columns or an arbitrary e-mail address, the access rights of the database owner will be used. Recipients specified in the Cc and Bcc fields will receive a copy of the message sent to the recipient specified in the To field regardless of their access rights. In the Format subsection select the format of the reminder: HTML or Plain Text. In the Attach Document dropdown select a generated document that should be automatically sent by email. In the Attach File dropdown you can select a File Attachment column name. As a result, the file kept in this column will be attached to the E-mail notification. In the Date field enter the date when the reminder should be sent. In the Offset field enter the period on expiry of which the reminder should be sent. Select All records if changes should concern all records in the table. Select Only records that meet certain criteria if changes should concern only specific records in the table. Specify necessary conditions using the drop-down lists at the bottom of the Filter subsection. 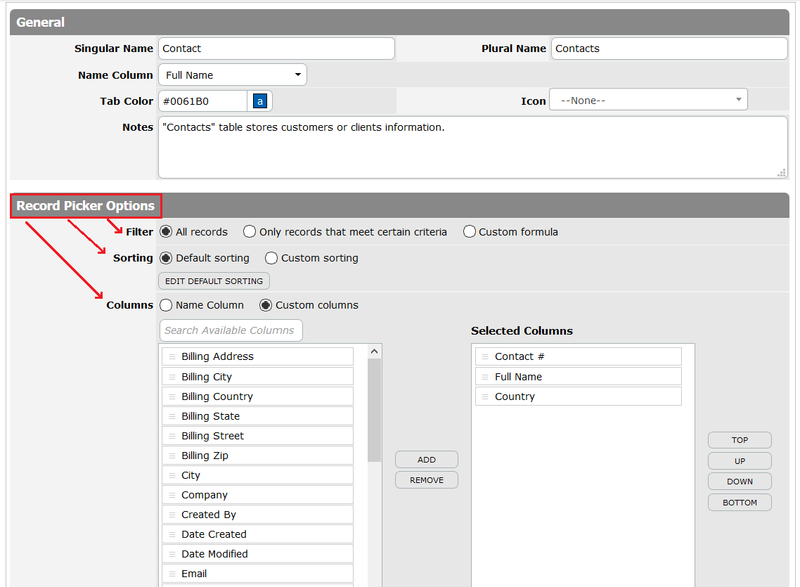 Select the Custom formula option if you want to specify a formula by which the table records will be filtered. More details about the formulas are described in Formula Language Reference. Select the Notification enabled check box to enable sending the reminder. Click the Save button to save the information entered in the form. To check quickly the filter conditions specified in the reminder and review records that could be affected, go to the reminders list, click directly on the reminder name and use the View Records button displayed on the reminder form.